Vast swaths of protected forests, soaring summits with eagle-eye views, peaceful valleys surrounded by soft slopes – all help make the Appalachians ideal for capturing the full beauty of autumnal colors. 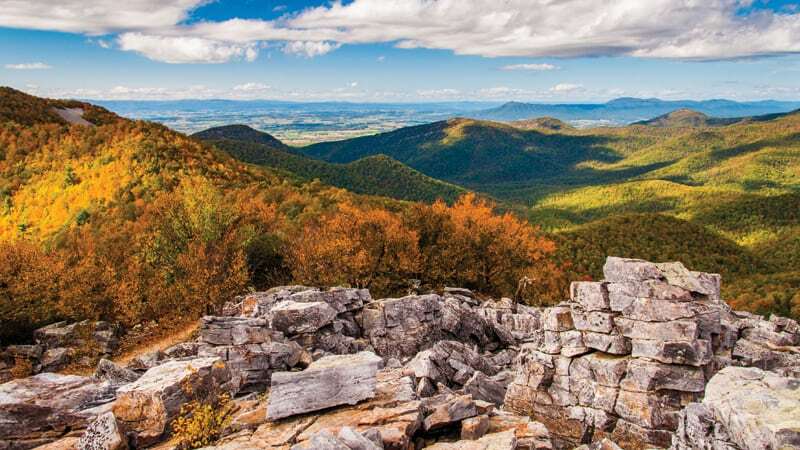 BOOMER’s guide to fall in Virginia’s mountains reaches from Harrisonburg to Franklin County, with a few must-see suggestions outside the perimeter. Pick and choose to put together your perfect itinerary! Changing leaves make for stunning pictures, whether you’re capturing the hues of the trees or letting the autumnal palette paint a colorful background. Skyline Drive and Blue Ridge Parkway. 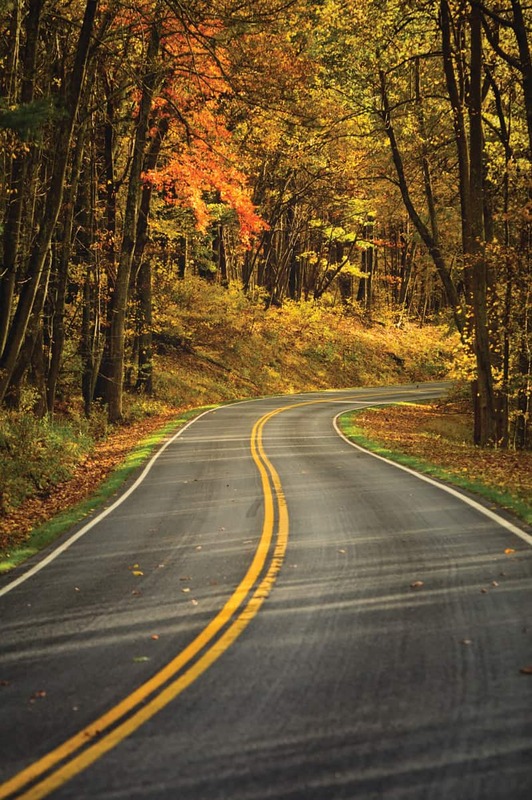 Two scenic drives meander through Virginia’s mountains, scaling ridges and providing lofty overlooks for prime leaf-peeping. Skyline Drive runs through Shenandoah National Park and flows into the Blue Ridge Parkway, which stretches into North Carolina. 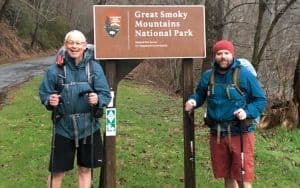 Points of interest along the way include Humpback Rocks, Mabry Mill, the Blue Ridge Music Center and numerous hiking trails and waterfalls. McAfee Knob. To reach the most-photographed point along the Appalachian Trail, take a moderately challenging and picturesque hike – less than 15 miles from downtown Roanoke. You’ll be rewarded with amazing mountaintop views! Peaks of Otter. Three distinct mountain peaks make up Peaks of Otter. For a 360-degree panoramic view, take the 1½-mile hike to the tip of Sharp Top – best experienced at sunrise, after an overnight at the peaceful Peaks of Otter Lodge. Humpback Bridge. The only remaining covered curved bridge in the U.S. was constructed in 1857 using a broad axe and hand-hewed locust pins. Just four miles away, the Alleghany Highlands town of Covington offers more historic architecture, dining and lodging. Falling Spring Falls. Coincidentally near Humpback Bridge and the town of Covington, these falls were endorsed by Thomas Jefferson himself. Virginia boasts many picturesque waterfalls, but the initial 70-foot drop in these cascades can be photographed from the parking lot or from an easy stroll to the falls. Eight presidents were born in Virginia, and four had an affinity for the foothills and mountains. Thomas Jefferson’s Monticello and Poplar Forest. Mountaintop Monticello has been hosting the public for nearly 90 years, highlighting our third president’s genius. Poplar Forest, Jefferson’s retreat, showcases ongoing archaeological digs and historic restoration, with special events to boot. Nearby Charlottesville and Lynchburg, respectively, offer more history and contemporary amenities. James Madison’s Montpelier. House tours are just the beginning at this historical plantation, lifelong home to president number four. Explore galleries, walking trails, archaeological digs; take diverse guided tours; and dine at the Exchange Café. Then swing by Barboursville Vineyards for wine and historic connections. James Monroe’s Highland. The fifth president’s plantation features original and period French and American furniture as well as reconstructed slave quarters. Explore history using modern augmented reality glasses. Afterward, visit Jefferson’s Vineyards for a glass of wine – James’ friend Thomas would be pleased. Woodrow Wilson Presidential Library and Museum. Tour the pre-Civil War manse where the 28th president was born, then step next door to the museum dedicated to his life and service, including a World War I trench and the presidential Pierce-Arrow limousine. Spend the rest of the weekend exploring the small but classy town of Staunton. Herbert Hoover’s Rapidan Camp. Though the 31st president didn’t have the honor of being birthed in Virginia, he and First Lady Lou Henry Hoover had the wisdom to establish a presidential retreat in the Blue Ridge Mountains, now part of Shenandoah National Park – where you can enjoy your own wooded getaway. If Virginia’s mountains and valleys don’t provide sufficient inspiration, let your muse be amused by visual and performing arts. American Shakespeare Center’s Blackfriars Playhouse. 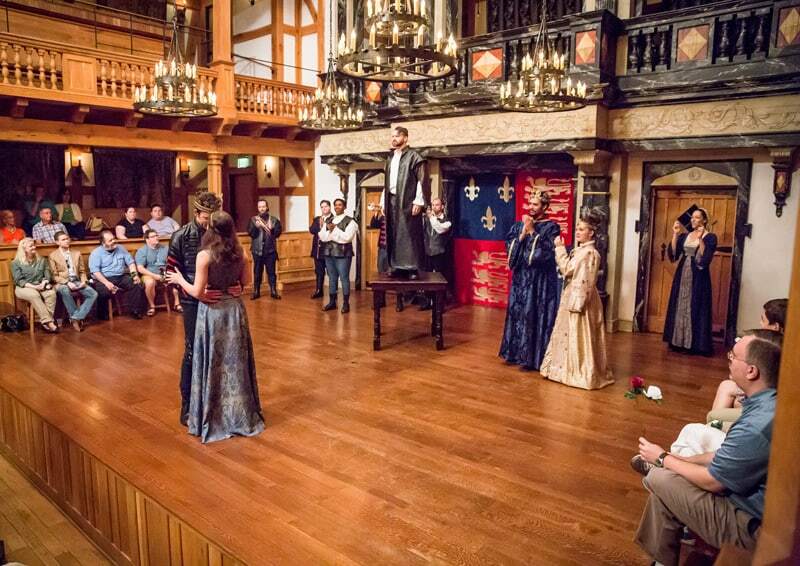 With Staunton’s tagline being “Big time culture, small town cool,” a re-created Shakespearean theater is so fitting. But ASC takes its vibe beyond the Bard to contemporary and holiday productions. Pre- and post-show, discover the rest of Staunton’s culture and cool. Harvester Performance Center in Rocky Mount. From comedy to country, bluegrass to blues, reggae to rock, and beyond – catch some of the year’s 175 performances from renowned names and rising stars. Pre-show, taste the local historic moniker, “Moonshine Capital of the World,” at Franklin County Distilleries; be crafty at the Center for the Arts at The Grainery; or shop and dine. Garth Newel Music Center. This year-round chamber music venue in the Allegheny Mountains presents more than 50 concerts throughout the year performed by renowned musicians. Concerts are paired with gourmet meals, and lodging is available in the Historic Manor House. Winston Link Museum. Be amazed by Link’s 1950s photographs capturing the last days of steam locomotive power. The exhibits inspire appreciators of art, railroads, photography and genius. Wander from there through downtown Roanoke: Taubman Museum of Art, Center in the Square, shopping, dining and more. Virginia Quilt Museum. A three-story 1856 home provides the ideal showcase for this historic utilitarian art form. In the official quilt museum of Virginia, heirloom and contemporary quilts demonstrate a diversity of styles and techniques. 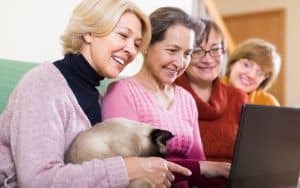 Afterward, stitch together a great day in downtown Harrisonburg, including OASIS Fine Art & Craft’s Shenandoah Valley creations and finishing at the Joshua Wilton House, a Victorian inn and restaurant. Luray Caverns. 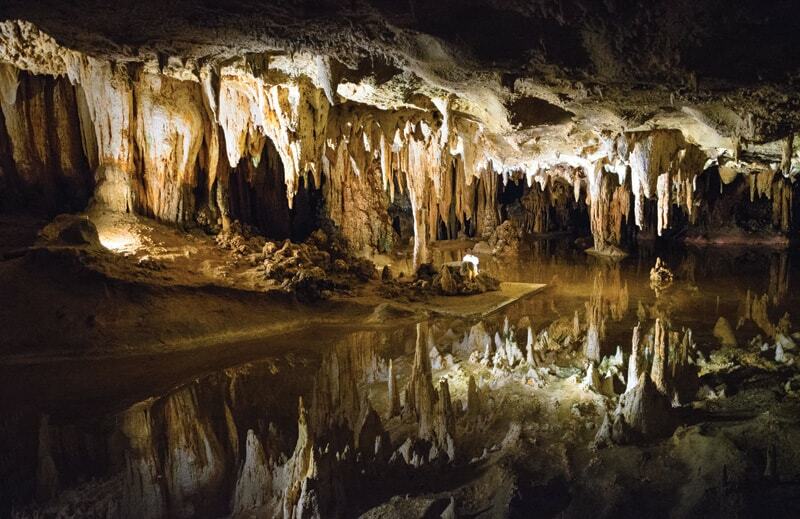 The largest series of caverns in the eastern U.S. boasts cathedral-size rooms, towering stone formations and other amazing works of nature. The town and countryside around Luray will further entertain you with shops, hiking trails, Civil War sites, golf and more. Natural Bridge. Once considered one of the world’s seven natural wonders, the National Historic Landmark is still an impressive geological formation. After gawking, turn from the amazing to the amusing at Dinosaur Kingdom II, a quirky exhibit of dinosaurs, Civil War soldiers and goofy green slimes. Then return to culture at Natural Bridge Historic Hotel. Crabtree Falls. Five major cascades and several small ones drop approximately 1,200 feet, making this the highest cascading waterfall east of the Mississippi River. The elevation change helps assure a variety of fall colors – near Nelson County’s abundant post-hike sustenance and lodging. Natural Tunnel. Once dubbed the eighth wonder of the world, the limestone formation at Natural Tunnel State Park is more than 850 feet long and 100 feet high. Also take in cave tours, canoe trips on Clinch River and hiking on the Lovers Leap Trail to a scenic summit. In Southwest Virginia, you’ll be in the heart of Virginia’s Crooked Road music trail. The Great Channels of Virginia. Like nature’s Stonehenge, these impressive 400-million-year-old sandstone formations were likely formed during the last ice age. Permafrost and ice wedged into cracks, shattering and expanding the caprock. At the nearest “big” town, Abingdon, take in a show at the historic Barter Theatre, take a bike ride on the Virginia Creeper trail and lay your head at Martha Washington Inn and Spa. Tasty apple dishes, crunchy goodness and the fun of a pick-your-own trip make apples a favorite fall fruit. Many Virginia apple venues also boast farm markets, dining, hard cider, entertainment and spectacular views. Showalter’s Orchard and Greenhouse. In addition to trees brimming with 26 varieties and pick-your-own apples, Showalter’s boasts a greenhouse of seasonal favorites like pansies, mums, pumpkins and gourds. Even better, it has its own tasting room with hot donuts, sweet cider and Old Hill hard cider. Bring a picnic and soak in the beauty. Blue Toad Hard Cider. Nestled below Wintergreen resort, Blue Toad Hard Cider brings that clean, fresh apple taste to hard cider lovers. Besides pure-apple ciders, look for seasonal additions like spices, hops, tea leaves, flowers and fruits, available in the tasting room or to go. Then head to dinner and drinks at Devils Backbone Basecamp’s brewpub, lodging, camping and entertainment. Dickie Brothers Orchard. Wander among the apple trees while soaking in the history of this family-owned, eighth-generation land (one of the oldest same-family-owned-and-operated in the country!). Meander over to the apple cider express bar – the land may be antiquated, but the cider bar is brand new. Refreshed, go for a hike at nearby Crabtree Falls. Carter Mountain Orchard. So much more than just apple picking: park yourself at Mountain Grill for farm-to-table outdoor dining plus locally made Bold Rock cider and Prince Michel wine and knock-your-socks-off views. Mosey over to the country store and bakery for fresh apple cider donuts, local products and produce. 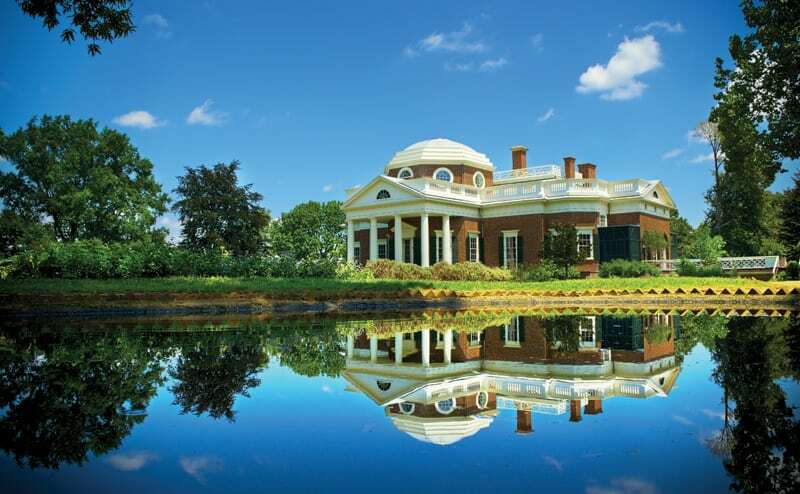 Feed your mind afterward at Thomas Jefferson’s Monticello. Gross’ Orchards. 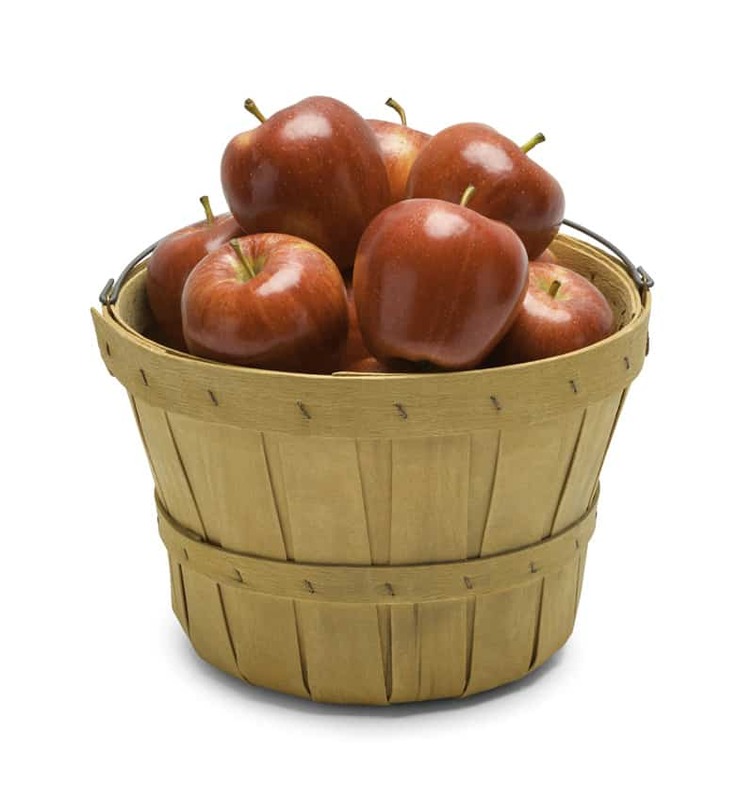 With many varieties to choose from throughout the season, Gross’ Orchards offers apples to pick for your baking, saucing, pie-making or just-plain-eating needs. If that’s not enough, swing by on Oct. 20 for their annual Apple Harvest Festival. Or put on your running shoes for the Nov. 3 Apple Valley 5K – after all, you know what they say about a 5K a day. Then make your way over to the Blue Ridge Parkway for a dose of mountain therapy. Virginia’s craft beverage industry has blossomed. Autumn offers an excuse to explore mountain trails highlighting beer, wine and cider while drinking in inebriating views. Virginia’s Blue Ridge Beerway. Enjoy sips, samples and pints of brews against the panoramic backsplash of the Blue Ridge Mountains. For you wine enthusiasts, a vineyard has snuck onto the list as well. Find ample opportunities for food and recreation between sips in Roanoke, Salem and Smith Mountain Lake. Nelson 151 Trail. The scenic, 15-mile stretch showcases a little bit of everything – six wineries, three breweries, two cideries and a partridge in a pear tree. Nelson County also keeps visitors happy with distilleries, outdoor recreation and food. Jefferson Heritage Trail. Besides wineries from Albemarle to Amherst, the trail sprinkles in spots historically significant to this Founding Father as well as food, a brewery, distillery and more. Fill your brain with American history and your glass with local wines – after all, Thomas Jefferson loved both. Bedford Wine Trail. Purple up your lips at Bedford County’s six fine wineries, meandering from Smith Mountain Lake (enjoy the water while you’re there) to Peaks of Otter (enjoy the mountains while you’re there). Get a stamp at each location and return to the Bedford Welcome Center for a congratulatory wine glass. Shenandoah Beerwerks. Find an array of farm-to-dining restaurants, historic gems and charming shops peppered in along the mountainous Interstate 81 corridor. Good thing, too – with 15 breweries on the map, you’ll need an excuse to take a break. Beginning with Native Americans to early settlers and beyond, Virginia historical sites can provide education on the past and guidance for the future. Frontier Culture Museum. Explore working farmsteads of immigrants from Africa, England, Germany and Ireland plus a Native American village as you learn about the daily life of the Valley’s earliest settlers. Then feast on fare from today’s local farmers at Zynodoa, inspired Southern farm-to-table dining in nearby Staunton. Booker T. Washington National Monument. The influential African-American was born a slave in Franklin County in April 1856. See re-created farm buildings and cabins, barnyard animals and gardens and learn about Washington’s accomplishments after Emancipation. Then head to the source of Homestead Creamery dairy goodness for a farm tour and shopping excursion at farm market. Virginia Museum of Transportation. Highlighting its large collection of steam, diesel and electric locomotives and railroad exhibits, the museum also showcases early automobiles, model trains, aviation and more. Stroll down the city’s Railwalk to overnight at the nearby Hotel Roanoke, whose grand history began to support the young town’s influential rail industry. The Marshall Museum. Honoring the life and career of George C. Marshall, exhibits include a “talking map” that recounts the course of World War II; a look at Marshall’s early years; his leadership during World War II; and his contributions to restoring Europe – including his Nobel Peace Prize. Have dinner and drinks afterward at Devils Backbone Outpost Tap Room & Kitchen. National D-Day Memorial. Be educated, inspired and sobered at this monument to the Allied forces that participated in the invasion of Normandy on June 6, 1944 – fittingly located in Bedford, which suffered the highest per capita D-Day losses in the nation. Segue to Bedford’s other diverse offerings, including Smith Mountain Lake, wineries, breweries, dining and shopping. The Old Dominion boasts plenty of historic inns and bed-and-breakfast establishments, so we’ve picked out a few of the best spots to lay your head. Blackburn Inn. Developers have revitalized this 1828 building without trying to “escape” its complex beginnings as an early mental hospital and prison. Re-designed in 1836 to reflect the idea of compassionate care for the mentally ill, the hospital operated under that philosophy for decades – until compassion waned and the story darkened. The grand structure has returned to its earlier elegance. Guests can wind down at the hotel’s upscale bistro, Second Draft, then curl up for the night in a historic room with artisanal décor. Just a half-mile from culture-packed downtown Staunton. The Stone House at Black Dog Salvage. 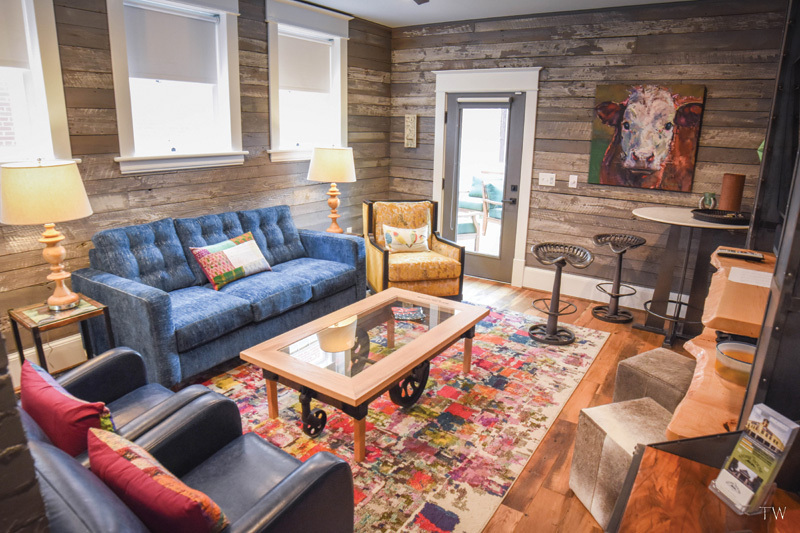 The treasure hunters of the DIY Network show Salvage Dawgs and Black Dog Salvage architectural and repurposed products have opened a renovated inn. Even details boast of provenance: the 1911 home was built by Italian father and son stonemasons for their private residence using surplus and salvaged materials; and décor has been sourced through the Black Dog warehouse. When you’re ready to explore, head next door to the showroom to shop and find inspiration or step onto Roanoke’s riverside greenway. Craddock Terry Hotel. 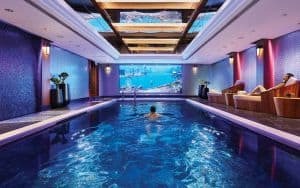 Converted from a shoe factory, this boutique hotel embraces its history while adding a modern twist. Each room boasts a unique design, and guests receive a complimentary continental breakfast delivered each morning – in a shoebox, of course. At the edge of the rejuvenated downtown by the Bluffwalk and the James River, the hotel provides a perfect launching point for appreciating downtown Lynchburg. The Georges. The two buildings that make up The Georges, both built around 1800, are among Lexington’s oldest – coincidentally named after George Washington and George Marshall. The Reconstruction drama Sommersby, starring Richard Gere, Jodie Foster, Bill Pullman and James Earl Jones, was filmed on Main Street in 1992 and features the Marshall Building. Today, The Georges offers elegant guest rooms and two dining options. The Inn at MeadowCroft. The country inn, situated on a seventh-generation working farm against the backsplash of the Allegheny Mountains, is in touch with its roots, including cows, sheep and chickens. Guests can stay in authentic centuries-old log cabins while enjoying updated modern-day amenities. Seemingly remote, but an easy 20-minute drive from Staunton. Updated Virginia fall foliage resources at DOF.Virginia.gov/fall/index.htm.